I have two shows coming up! 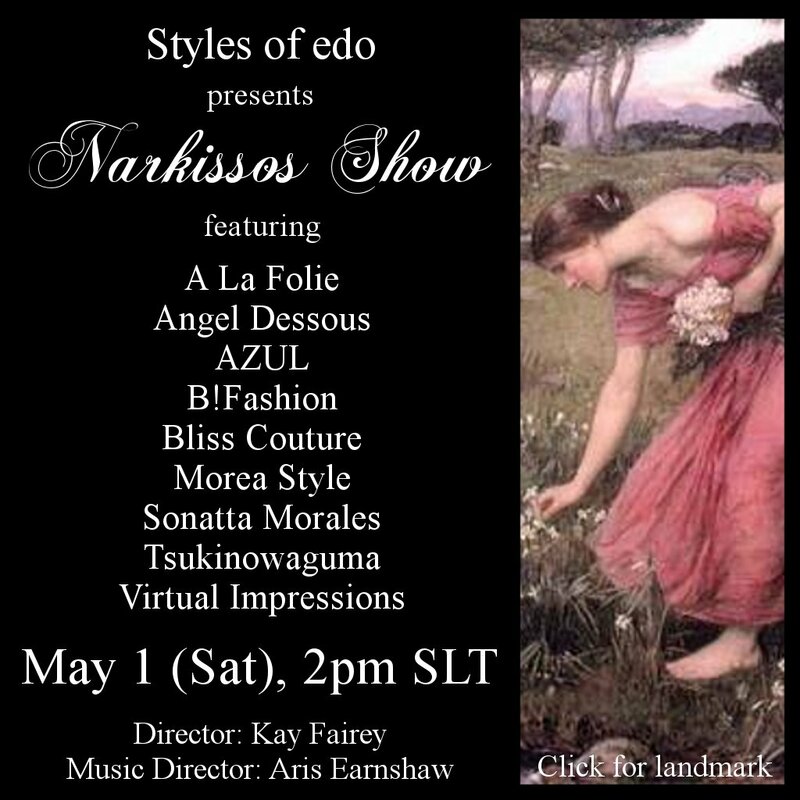 May 1 (Saturday) from 2pm SLT, I will be directing a show I produced for edo Tone’s Narkissos Fashion Village. Here, 7 brands all with gorgeous gowns and outfits will be showing thier newest releases and the most amazing thing is that Angel Dessous, formerly known as a high quality lingerie store will be showing four wedding gowns! 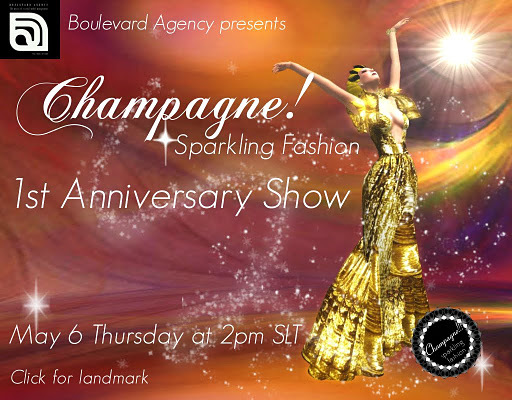 Following the Narkissos Fashion Show, I will be directing another show I am producing with Boulevard Agency. Posted by Kay Fairey, Agency Director and model for Boulevard Agency, Miss Virtual World Modeling Academy CEO, Team edo Director and writer for the Best of SL Magazine. This entry was posted in SL model and tagged Champagne Sparking Fashion, edo Tone. Crissy Ambrose, Fashion show, Kay Fairey, Narkissos, second life, sl fashion, SL model by Kay Fairey. Bookmark the permalink.